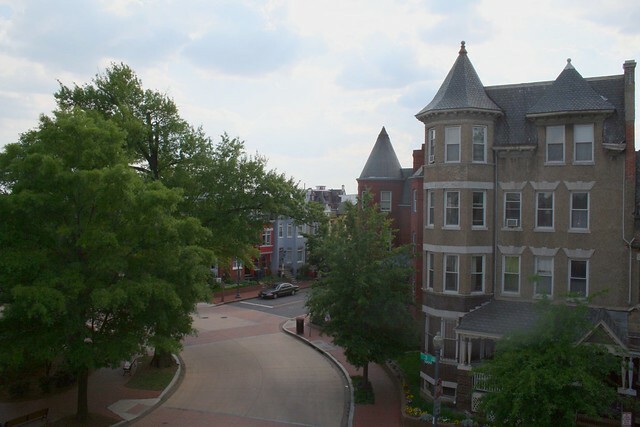 (Washington, D.C.) The District Department of Transportation (DDOT) will begin construction on short-term solutions on the 500 and 600 blocks of Florida Avenue NW to assist with removing water from the roadway during rain events. 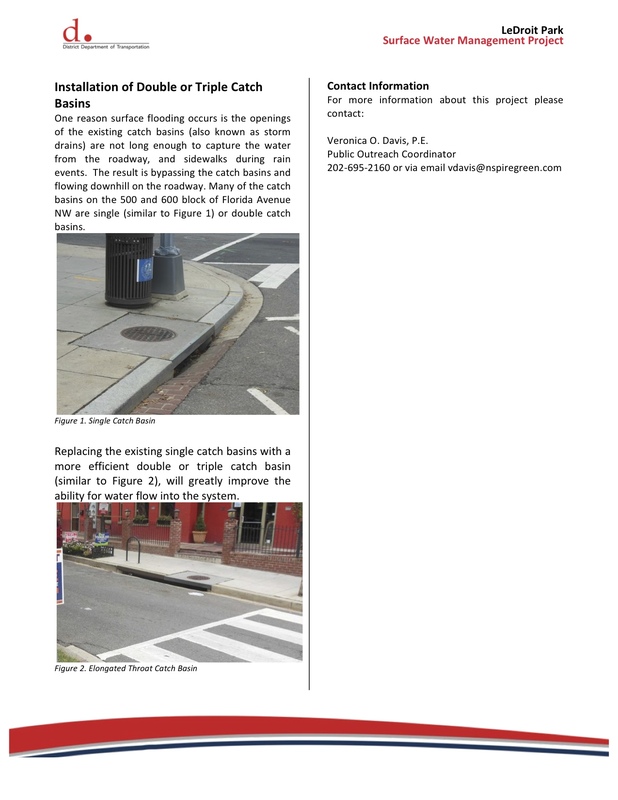 DDOT will be installing new catch basins (also called storm drains) to improve the flow of water into the system. 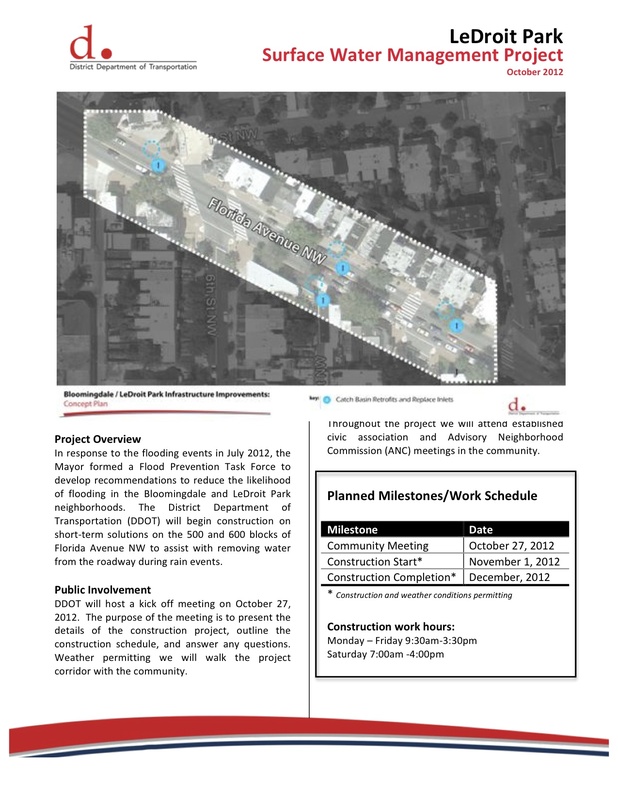 Construction will start on November 1, 2012 and is anticipated to end in late-December 2012, weather and construction conditions permitting. Construction work hours will be Monday-Friday 9:30am-3:30pm and Saturday 7:00am-4:00pm. During the construction work hours there will be temporary lane closures on the 500 and 600 blocks of Florida Avenue NW. DDOT will maintain at least one travel lane in each direction during work hours. All lanes will be open during non-work hours. Signs will be in place to guide travelers in the corridor around the new traffic pattern. Drivers and pedestrians are urged to stay alert and use caution when traveling by the work zone. 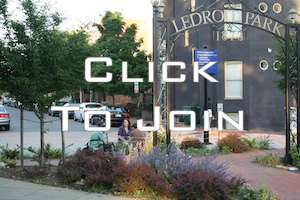 Any questions regarding this work should be directed to the Public Outreach Coordinator, Veronica O. Davis, P.E., via email vdavis@nspiregreen.com or at 202-695-2160. 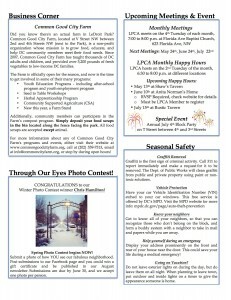 Spring 2014 Newsletter is HERE! !